Review web site Rtings.com has performed an extensive burn-in trial for LG's 2017 OLEDC7 OLED TV models, and reports that the TVs have shown signs of permanent image-retention, or burn-in after only 4,000 hours. Rtings have used six OLED TVs, running them from January 2018 for 5 hours each day at a time followed by one hour when the TVs are turned off. This cycle was run 4 times a day. One TV was at maximum brightness, and the rest at only 200 nits. Some played CNN, some a gaming title (FIFA 2018) and some of the TVs played regular TV channels. The TV that played CNN had a clear logo and static bar burn-in images, and the same goes for the FIFA game (but only slightly). The regular TV programs did not suffer from any burn-in. Only four months after LG installed 69 OLED TVs at Seoul's Incheon Airport it was reported that the TVs suffer serious permanent image-retention, or burn-in. 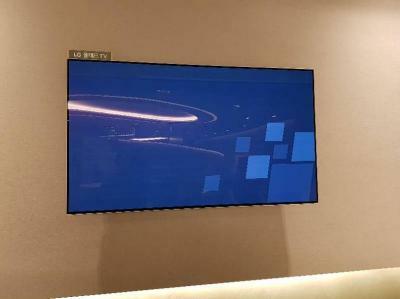 ZDNet now reports that LG replaced the problematic OLED TVs at the airport's Korean Air Miler Club Lounge with LCDs. The report suggests that LG was not sure it could solve the burn-in issues with this particular display, and so opted for an LCD. LG denies that burn-in is a serious issues and says the TVs's lifetime are over 30,000 hours. According to ZDNet, LG installed 29 such OLED TVs at the airport lobby in addition to 40 more units at four of the airport's lounges. These were installed in January 2018, only four months ago. LG Electronics did not comment on this story. Following the launch of LG's pOLED displays, we had many recent discussions and reports of OLED burn-in and Image-Retention. Apple now released a support document for the iPhone X, its first OLED phones, in which it warns users that “image persistence” or “burn-in” is an "expected behavior". Apple says it engineered the display to be the best in the industry in reducing the effect of OLED burn-in, though. 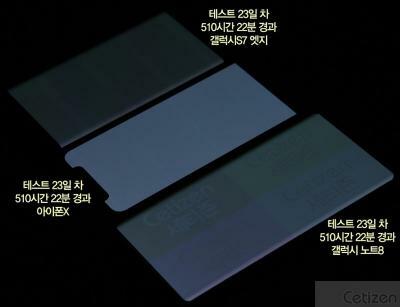 Apple also says that its OLED could have noticeable but slight shifts in color and hue when seen off-angle. The iPhone X has a 5.8" 1125x2436 Samsung-made Super AMOLED display. 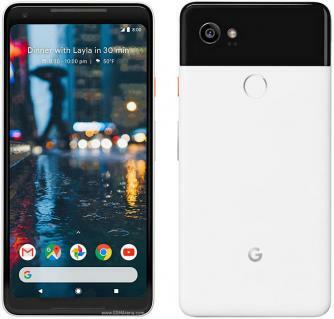 Google started shipping its Pixel 2 XL smartphone a few weeks ago, and this is one of the first two phones to adopt LG Display's new 6" 1440x2880 (538 PPI) pOLEDs. While on paper these displays are superb, actual reviews were rather dismal - to the point that some reviewers say that these are simply "bad displays". Both reviewers and customers complain about bad color reproduction, graininess and problematic viewing angles. In addition many users seem to report serious image retention issues. Google has now posted an update regarding the Pixel 2 XL display. In September 2017 LG Display started shipping its new 6" 1440x2880 (538 PPI) pOLED displays, which are adopted so far by two smartphones - the LG V30 and Google's Pixel 2 XL. On paper these displays are superb, but actual reviews were rather dismal - to the point that some reviewers say that these are simply "bad displays". 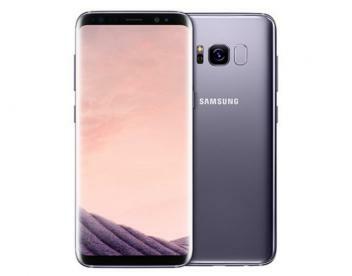 The reviews mentioned bad color reproduction, graininess and problematic viewing angles - and many consumers also reported serious burn-in issues. Samsung has recently started a marketing campaign that says that LG OLED TVs also suffer from image retention problems. In this article we'll explain what is burn-in, the difference between burn-in and temporal image-retention and also try to shed some light on LG's latest OLED problems. Samsung has published a video showing how 12 hours of gaming effects different TV technologies. Samsung compare's it's own Q-LED (quantum-dots enhanced LED LCD TV) with LG's OLED TVs (the 2017 OLEDB7). The video shows that following the extensive gaming run, Samsung's TV shows no image retention, while some problems are clearly visible on LG's TV.